Much like “Guitar Hero” and “DJ Hero,” Activision teamed up with developer Toys For Bob to create “Skylanders: Spyro’s Adventure,” a seemingly simple game that will make you fork over some major bills in order to play every adventure and earn every achievement. 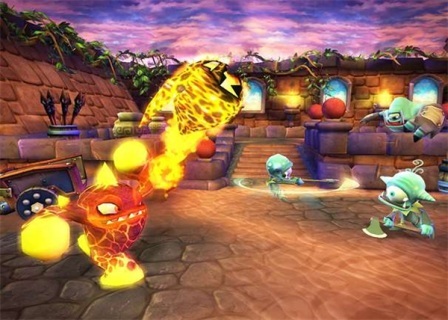 The construction of “Skylanders: Spyro’s Adventure” is a world where you can play as one of 32 different Portal Masters; characters with special powers and abilities that control a series of portals between different parts of the Skylander world. The characters must fight back against Kaos, an evil portal master that is trying to destroy the world they know. The gameplay is a clever series of maps that combine coin and award collection with puzzles and achievements that make the game not only entertaining in one run-through, but gives each map a large amount of replay value. The controls for the game flow nicely and are developed for simplicity, while maps and puzzles provide the minor challenges. The characters that you play with all have different special abilities and weapons and can all be used for different purposes and each has distinctly different personality traits. This is where the money comes into play. 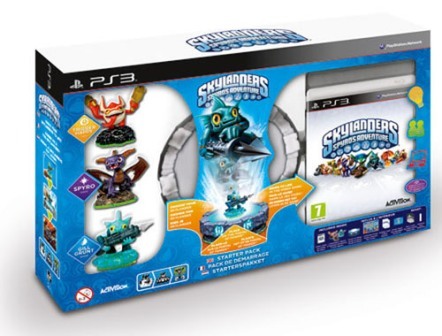 When you buy the “Skylanders: Spyro’s Adventure” starter pack, it is equipped with three action figure characters that get you into the game, as well as a small portal that you plug directly into your gaming console. 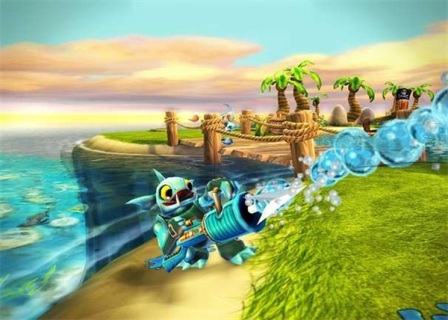 The design of the game is whenever you want to play with a specific Skylander, you place the action figure on the portal that came with the starter pack. The three characters that come in the starter pack are Spyro, Gill Grunt, and Trigger Happy. Now, each character is placed into eight different element classes: Air, Earth, Fire, Life, Magic, Tech, Undead, and Water. For example, your starter pack has Spyro in the Magic element, Gill Grunt in the Water class, and Trigger Happy as a Tech character. Each class and character opens up different areas in each of the numerous maps, and the abilities change between classes, offering the chance to defeat specific enemies easier. What is actually pretty awesome about these little action figures is that each of them stores their own character data. If you change the outfit a character is wearing or happen to run most of the game with one character (leveling him up the most) all of those stats are stored within the action figure and transferable when going to another portal. So, say I’m nine years old and my best friend and I both get “Skylanders: Spyro’s Adventure” for Christmas. I love the game and play for hours on end and want to show off how cool I’ve made Trigger Happy look. Instead of taking out my hard drive or bringing my entire console over to my friend’s house, I just take my Trigger Happy action figure over, stick it on the portal that came with his game, and my own personalized Trigger Happy shows up on his console. The game also works nicely in the transition from character to character. When switching out my Skylander for the first time, I assumed it may take a few moments or loads to go from Trigger Happy to Spyro. However, the change is almost instantaneous. As soon as Trigger Happy leaves the portal, the game pulls out to an empty portal graphic, and right when the Spyro action figure lands on the portal, he drops right into the game. You can quickly move from character to character in the middle of battle depending on what enemies you are up against and what abilities you want to use. While the game does offer multiplayer mode, the gameplay is offline only, which is a bit disappointing. Of course, if you really are looking to play with friends, the ease of picking up your figurines and taking them to another friend’s house is very convenient, but online multiplayer would have been a nice touch. So what are the draw backs to this action figure design? Well, the fault is not in the actual figures or the concept. It is awesome, especially for kids, to have action figures they can hold in their hands transferred right into the game that they are playing. It adds a new dimension of interaction that goes past aspects of 3D or surround sound. A kid can literally play with the characters in the middle of their bedroom or right on the television. It is an action figure and video game all in one. The draw back that does come up, however, is the dependency on the amount of characters. In my trial run of the game, I quickly realized the three characters that come with the starter pack only make up three elements. With five element characters missing, I immediately worried about what I would be missing in the game. A few maps in and there were no problems at all, but right at map number three, there was a whole section that wasn’t available to me because I didn’t have an Earth element character. This is both frustrating for the player and potentially problematic for parents. While the additional characters offer up numerous gifts that can be given at a later time, the total character collection can be rather costly. The original starter pack is going to run you to a $69.99 bill, and the additional characters are not cheap. Single character packs run at $7.99 each and three character packs are $19.99 each. There is also an Adventure Pack DLC that offers a new game level that can only be found with that pack, adding another $19.99 to the total cost if trying to achieve everything. This means if you want to achieve every aspect of “Sklanders: Spyro’s Adventure,” you will be running close to $300. Of course, this can be bought over an extended period of time and can give parents great ideas for future birthdays, holidays, awards, etc., but there is no denying that Activision is trying to make a pretty penny on this game. When I was a kid, toys just weren’t like this. I played with my video games at one moment and my action figures the next and enjoyed every minute of each activity. But if I was a kid now and I realized that there was the potential to bring my action figures to life in a video game that I control, I would be more than ecstatic. Activision and Toys For Bob has really come up with something innovative here. While it may hurt Mom and Dad’s wallet, “Skylanders: Spyro’s Adventure” is an entertaining quest that offers fun video game play combined with characters you can literally hold in your hand. What else could a child really ask for from their video game? 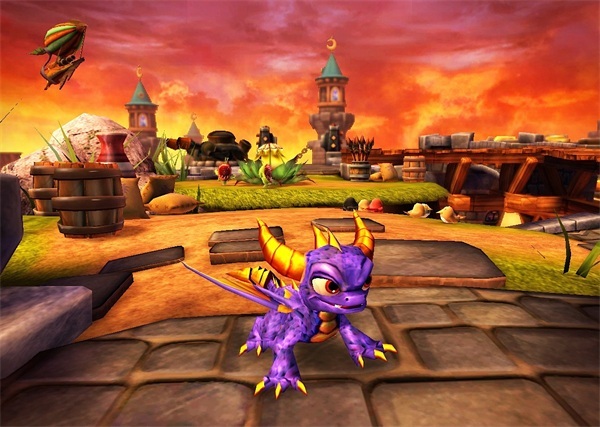 “Skylanders: Spyro’s Adventure” was developed by Toys For Bob and released by Activision on October 16th, 2011. It is rated E10+ and the version reviewed was for the PS3, but the title is also available for the Xbox 360, Wii, Nintendo 3DS, and PC.